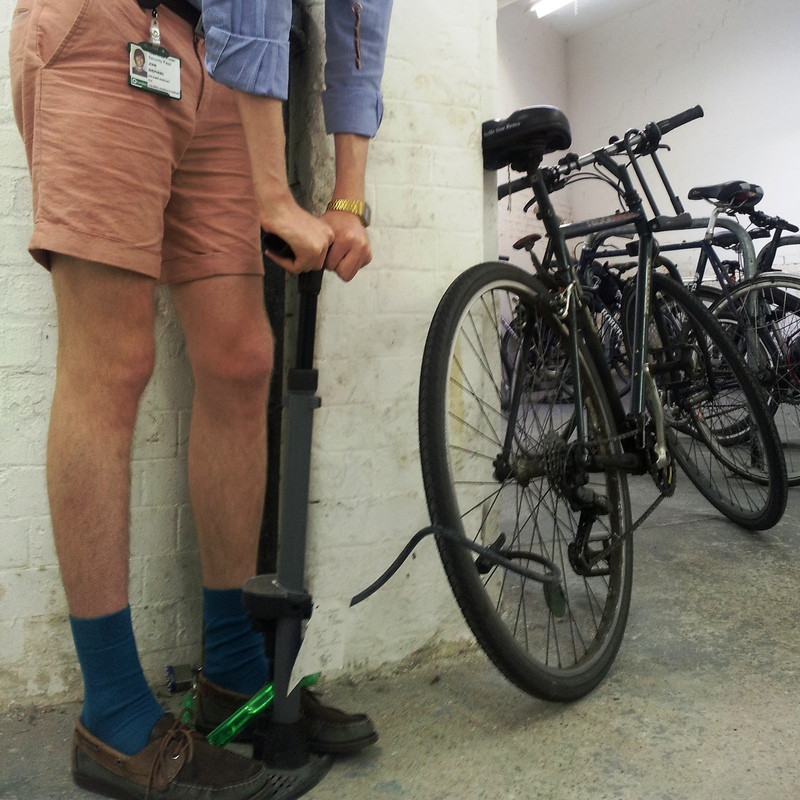 Camden UNISON gets a bike pump installed for staff to use at the Crowndale centre. It came to Camden UNISON’s attention that while a bike pump was made available to Camden staff in Housing and Adult Social Care and Central Services at the town hall, there was no such provision for Children, Schools and Families staff at the Crowndale centre. Camden UNISON therefore raised the issue at the CSF Joint Consultative Committee (JCC) in August 2012, pointing out the discrepancy and making a business case for the provision of pumps by Camden to help reduce potential delays in staff getting to meetings and getting to work. The Assistant Director eventually agreed to purchase a pump as a “Christmas present” to staff, and after repeated chasing by UNISON it was finally installed in May 2013 and has been in regular use since. This entry was posted in Uncategorized and tagged cycling, success. Bookmark the permalink.